white lettering and gold shamrocks. 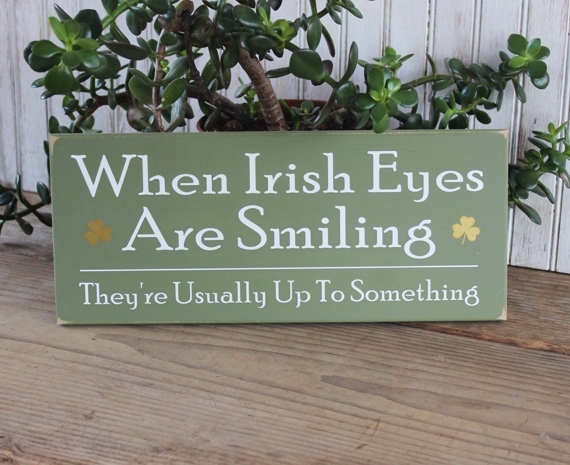 a wonderful gift idea for those you know with "Irish Eyes". St. Patrick's Day wall decor.